For many, the perfect start to any day begins with a cup of coffee. 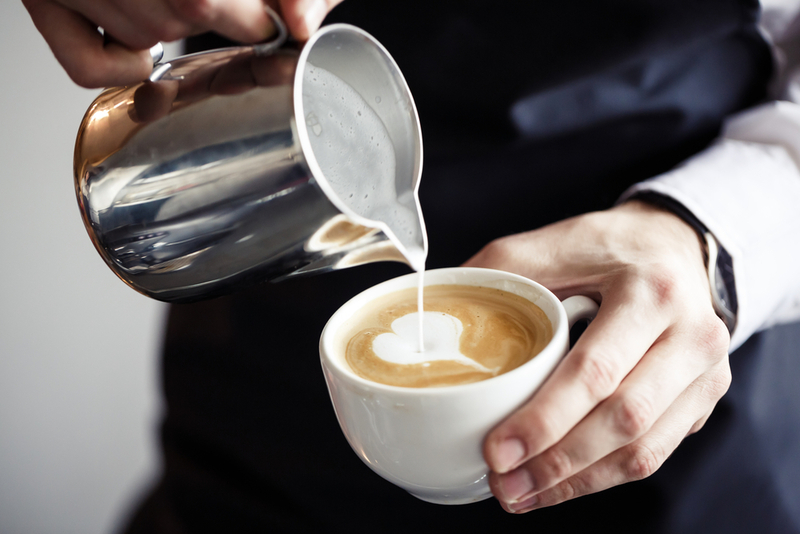 Whether you prefer traditional filtered coffee or the more sophisticated cappuccino, there are a number of ways to enjoy this popular morning brew. When it comes to adding the milk, it’s important to know which type works best for your specialty coffee drink. Why Is Milk Added to Coffee? The fats and proteins in milk affect the taste and texture of a cup of coffee. The proteins decrease the acidity, while the fats add a velvety, smooth texture. However, there are various types of milk to choose from, and they are not one in the same when it comes to how it changes a basic brew. What Types of Milk Can You Choose From? Whole milk is the most common option for specialty coffee and can pair well with any roast level due to its natural sugars. When heated, it adds sweetness—without the need for refined sugar—and is thus used for cappuccinos and lattes. Skim milk contains no fat, which is why there is a loss of flavor when it’s added to coffee. It can still provide a slight sweetness and a significant reduction in calories, but it’s best use is to tame a particularly strong brew. While soy, almond, and coconut milk are popular for their reduced calorie count, they are also made up of mostly water. They don’t have the same composition of fats and proteins to thicken the texture of the coffee, but they each enhance the taste of the drink in various ways. One of our favorite drinks is an almond milk latte with honey added to it. Yum! Enchanted Grounds is the premier cafe and game shop in Littleton, CO, offering a wide range of specialty coffee and gourmet teas for you to sample. Whether you’re looking for a haven to relax after a long day of work or a meeting spot for you and your friends, the cafe features free Wi-Fi and a number of power outlets for you to plug into. Call (303) 795-0772 today to speak with a barista, or visit their website for more information about their coffee menu and product selection.